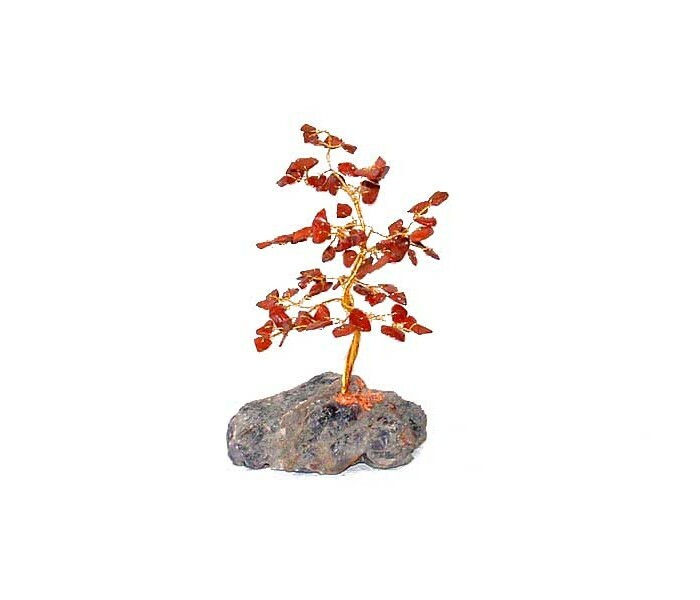 Red Jasper Gemstone Tree - 80 stones 21cm - Oriental Gifts from Got-Bonsai? 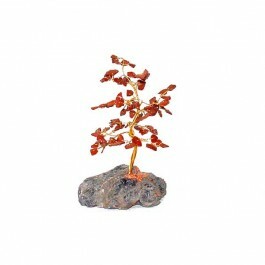 Red Jasper Gemstone Tree made with wire and 80 gemstones as leaves. Twist and shape the tree as you wish but it will never need water or care!! These gemstone trees are similar to bonsai trees in some ways.. You can shape them as you please and choose your own styles, but they never need watering or looking after!!! Set on a solid stone base these 'trees' come in 3 sizes, 80 stone (21cm), 160 stone (24cm) and the whopping 320 stone tree (29cm). Display one on its own as an eye catching ornament or create a forest!! !